Wisconsin cabin rentals are perfect for kid friendly summer vacations. During summer, Treeland Resorts and the Big Chip are flowing with activity. The sun is out, the days are long, and there are plenty of activities in and around Treeland’s Wisconsin cabin rentals. Bring your dad or granddad to one of the five Treeland properties for a Father’s Day getaway he won’t forget. Rent a fishing rig and spend some time together. Invite the rest of the family for an impromptu family reunion. 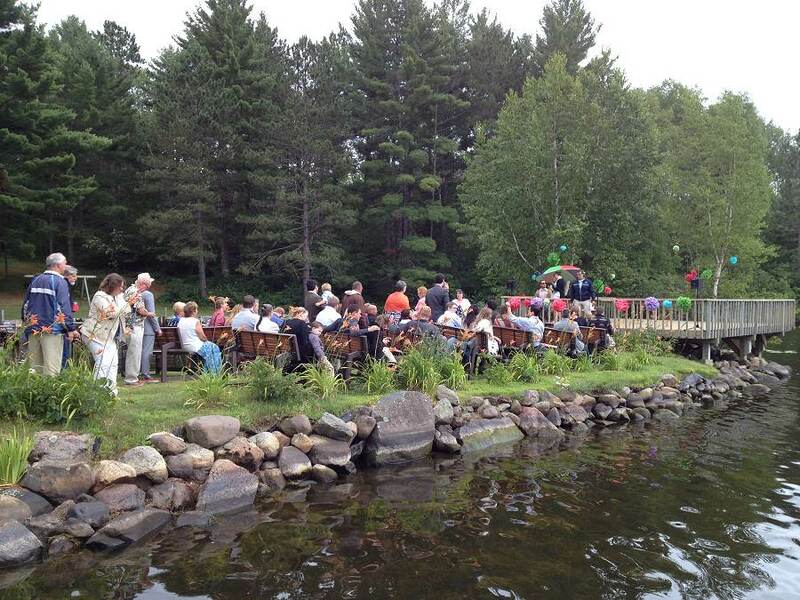 The weekend after Father’s Day, Treeland Resorts is a supporting sponsor of the annual Musky Festival in Hayward, Wisconsin. This June event is a celebration of the muskellunge, Wisconsin’s state fish. The fish has a special significance to the area as the world record musky was pulled from the Lake Chippewa Flowage. The festival includes a parade, a walk/run, street vendors, a fishing contest, live music, and more! In July, you can experience authentic Native American culture, song, and dance at Honor the Earth, the largest Pow Wow in North America. In addition to 4th of July celebrations, you can also check out the Lumberjack World Championships that are held every year in Hayward, Wisconsin. Yes, this is the log-rolling, pole-climbing, and tree-chopping competition that you’ve seen on ESPN. It’s a great show for spectators and there are plenty of side events and activities. August is usually the last chance for Wisconsin fun in the sun. There are plenty of resort activities near your cabin – heated swimming pools seasonally, kayaks and paddleboats to take out on the lake, tennis courts, basketball courts, sand volleyball, fishing, fire pits, and hiking trails. You can also head out to the Sawyer County Fair for plenty of fair food, a demolition derby, Ferris wheel, live music, and fireworks. 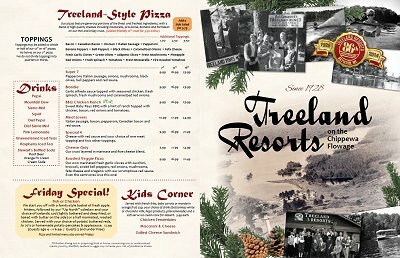 All five Treeland Properties are busy in the summer months, so call as soon as possible for reservations. We do offer last minute nightly reservations should there be cancellations. And don’t forget to add marina reservations to secure the perfect boat to fish or tour the lake. For a Hayward vacation you will treasure, start with Treeland Resorts’ Wisconsin cabin rentals.